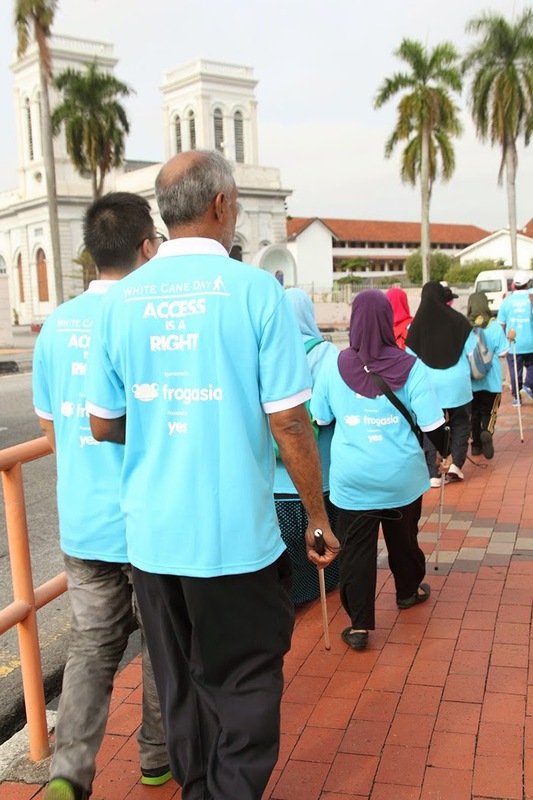 On the 18th of October 2014, FrogAsia together with St Nicholas’ Home and over 250 participants celebrated White Cane Day with a short walkathon at Penang! White Cane Day is a globally observed day that is celebrated to remember the achievements of blind or visually impaired persons. The event in Penang was held to raise public awareness for the rights of all blind and visually impaired persons to have accessible public amenities, equal education, employment and societal participation. FrogAsia’s Executive Director Lou Yeoh said that “We are a company that is all about learning and we believe in levelling the playing field by providing equal access to quality education through technology and the Internet. Our vision ties in perfectly with the theme of White Cane Day, ‘Access is a Right’, as it is all about giving the visually-impaired the same kind of access and freedom that sighted people have.” Note: Sighted people is a word that refers to people that still have eyesight - and is used by the blind and visually impaired community. On the day of the event, the sidewalks of Penang were clean and free of obstacles, as kind-hearted store owners along the path thoughtfully cleared their storefronts a day before for the event! 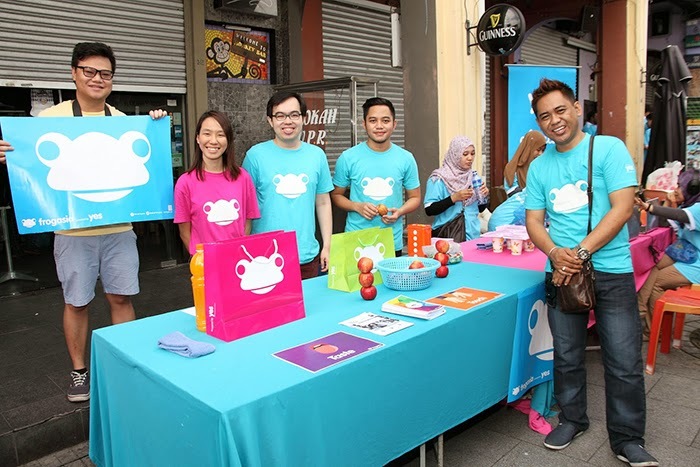 That morning, Penangites were greeted to the sight of a large excited crowd in blue FrogAsia sponsored shirts walking proudly through the streets. 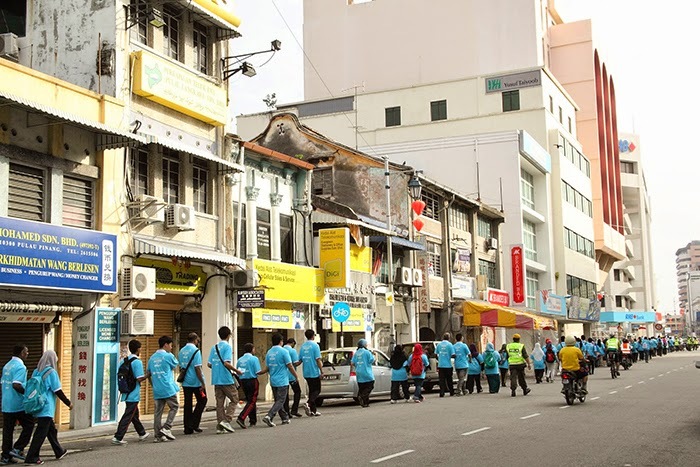 Each blind or visually impaired person had voluntary guides that travelled to Penang from all over Malaysia just for the event.. At the start of the walk, the guides and their partners quickly became friends and started chatting happily. Many guides were surprised to learn that their partner had in fact, been sighted before contracting a disease that robbed them of sight. Pointers and advice were also given to the guides on how to lead and behave around blind and visually impaired persons. “Say step up to guide them over bumps,” one of the organizers told a participant as they neared an elevated walkway. FrogAsia proudly sponsored their t-shirts! “We were taught how to lead them and were shown what couldn’t be done as well. For instance, we couldn’t shift their cane or pull them forwards,” says Mohd Akmal Hakimm, a student from Universiti Sains Malaysia. At the end of the walkathon, the crowd gathered at the FrogAsia booth,where the guides could play simple games with their partners. These games restricted the sense of sight, forcing participants to use their other senses. Blindfolded, many guides had the most trouble with touch, as struggled around a game that required the player to put together an certain amount of coins using only the sense of touch. Many were struck by how difficult certain tasks were without sight and were amazed at how the blind and visually impaired were still determined to live independently. The FrogAsia team at the games booth!